Furkids has many cats, dogs, puppies, and kittens that would benefit from being in a foster home environment. They may have come from an abusive/neglectful situation. The shelter is out of space and wants to continue saving lives from animal control facilities. Pregnant moms with babies need time to allow the babies to grow and develop. Many times a spare bathroom for a mother and her babies is all that is needed. The animal is a senior citizen and in his or her golden years. Senior animals are very hard to place in adoptive homes. Special needs animals may need medication, rest from a surgery or procedure, or may have physical disabilities. Puppies and kittens have weak immune systems and it is better they stay isolated while they get their vaccinations. 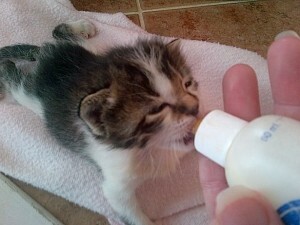 We will supply food, medicine, and of course, veterinary care for any animals you foster. When the foster pets have recovered or space is available for the animal to enter an adoption center, the foster parent brings the animal back to us. Most dogs stay with their foster home and attend at least 2 events a month. To join the foster pets program, you will need to meet with a Foster Care Coordinator to see what kind of animals you would be suited to foster and to answer any questions you might have. There’s a short application to fill out, and a home check, as required by the Georgia Department of Agriculture. Periodic emails are sent to foster parents to let everyone know what dogs and cats need fostering. You will be added to the list and, if you see an animal you would be interested in fostering, just reply to the email! If you think this is something you would like to pursue, please fill out a foster home application now and our foster home coordinator will be in touch shortly. If you have specific questions, feel free to email foster@furkids.org. “Of all of the things I do for Furkids, by far, the most rewarding is fostering. The first step in a rescue is to get the dogs out of the kill shelter – every rescue does that. The last step in rescue is to adopt a dog to a qualified home which meets our standards – many rescues do that. The middle step – that’s what makes our group special. We take the dogs into our homes and show them love in a family setting. We get to know them, we pamper them, we let them know that they have a family, and the everything is going to be ok. That’s what makes us special; that’s why I have been with this group for so long; that’s why I love Furkids. Please consider fostering a dog today – it’s the key to who we are as a rescue.” – Don R.